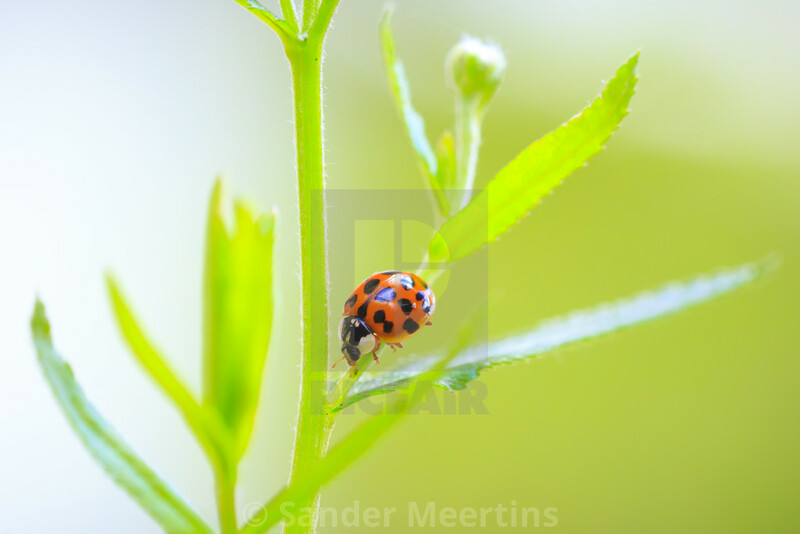 Ladybug or ladybird insect climbing. Fresh, vibrant colors and sunlight. Selective soft focus.